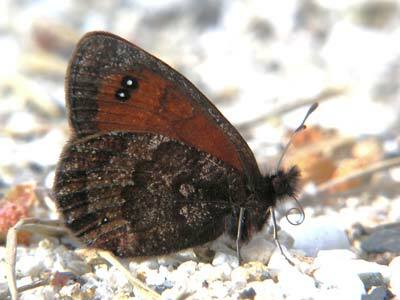 A very local species that can be common where found. Only from a few mountains in southeast Europe in Bulgaria, FYROM and north Greece. 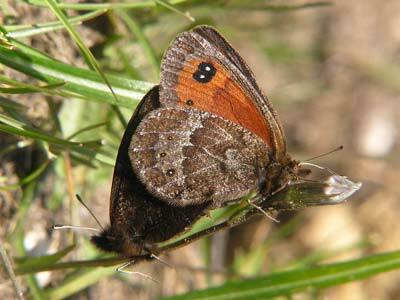 We found it fairly easily in 2004 in the Rila Mts of Bulgaria where it emerged during the middle of July 2004. 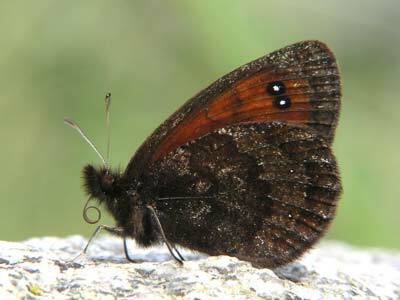 Oddly though we didn't find it on similar habitat in the Pirin Mts during the same period. 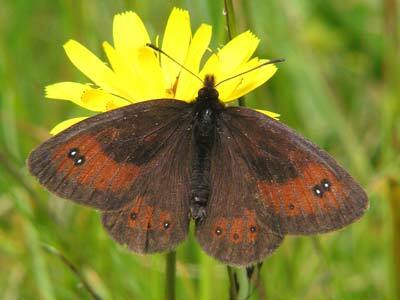 In places it was flying with the other speciality of this region, the Bulgarian ringlet, E. orientalis. 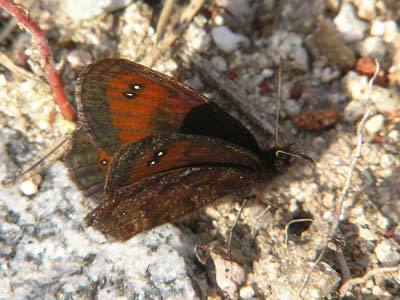 Identification & Similar species: One of 3 similar species, the distribution of which does not overlap. There are no other similar species in its range. 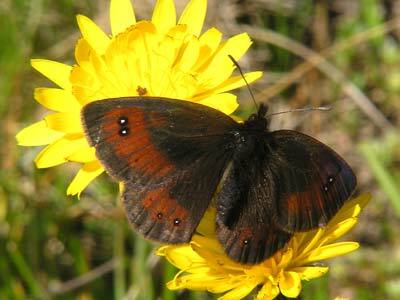 It is very similar to the false mnestra ringlet E. aethiopella from southeast France. 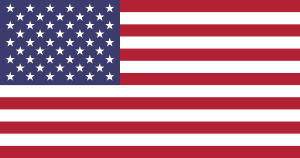 It is not surprising it was once considered to be a subspecies of that species. Distribution & Flight: Only from a few mountains in southeast Europe in FYROM, Bulgaria and north Greece. 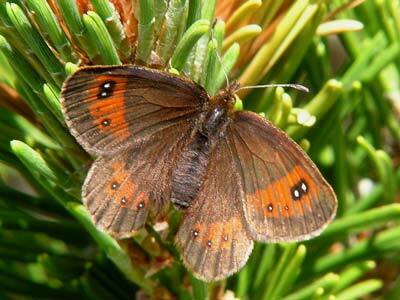 Habitat & Behaviour: It flies at high altitudes, we found it as low as 1800m, but more commonly from 2100 to 2400m. It prefers open grassy places. Juniper scrub may be found nearby.